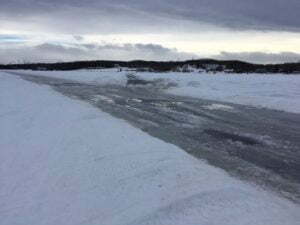 A lot of folks have asked about the condition of the ice road across Big Lake. 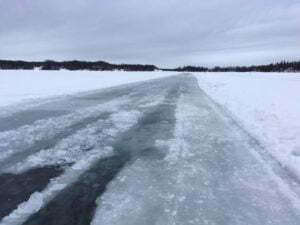 Here are some pictures taken today, 3/16/19. Cathy and I pulled off the lake a few days ago as we don’t see conditions improving. Warm weather continues to be in the forcast for the next week. Use your own judgement when chosing to use Ice 5 or not. We have also suspended any grooming activities for the time being. However, we are hopeful that we can get out there again if we get a late season snow. If not, it is our sincere hope that you enjoyed the trails this year. 12:00 pm Alyeska Motor Madness ! @ Alyeska Motor Madness ! Alyeska Motor Madness ! @ Alyeska Motor Madness ! 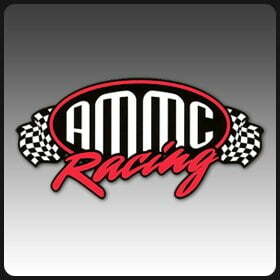 (please note that this is NOT an official ASC event–this information is provided to keep you posted on snowmachine-related happenings in our area) from the organizer, AMMC Racing: “Due to TIME restraints with the Mountain, … Continue reading "Alyeska Motor Madness !" © Anchorage Snowmobile Club all rights reserved . All other trademarks are the property of their respective owners . Website design by Buzzbizz Media.